Digital listening reached a new record share of 49.9%, a percentage share growth of 10% compared to 45.2% in Q4 2016, according to RAJAR Q4 2017 data released today. The growth was driven by a surge in digital listening for commercial radio stations, which for the first time exceed 50% at 51.6%, up from 45% in Q4 2016. The growth in commercial digital listening was boosted by strong audience growth across a number of stations including Radio X, which increased reach by 26% year on year to 1.58 million listeners; Kisstory, which increased by 22.3% to 1.71 million listeners; Kiss Fresh which grew 17.5% to 578,000 listeners; Virgin Radio which grew 46% to 483,000 listeners; and the on-going success of Heart 80s, reaching 1.17 million listeners in its third quarter on air. Digital listening to BBC stations grew to 48.3% from 45.5% in Q4 2016, with BBC Radio 4 exceeding 50% digital listening for the first time at 50.7% and a new record audience for its sister station, BBC Radio 4 Extra, reaching 2.26 million listeners. 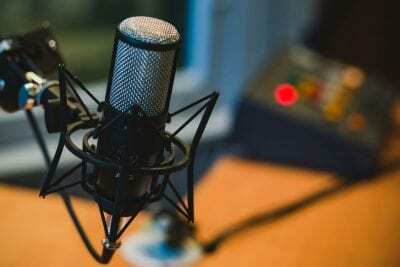 Digital listening grew across all platforms, with the fastest growth this quarter being to online/apps which increased by 13.2% in hours to account for 8.5% share of all radio listening and 17% of digital listening. The majority of digital listening is via DAB digital radio which grew 9.2% in hours to account for 36.3% share of all radio listening or 72.8% of digital listening. Listening via digital television grew 3.3% in hours to account for 5.1% share of all listening and for 10.2% of digital listening. Digital listening across 10-64 years olds combined is now 52.8%, and for the first time all individual age groups under 65 (10-14; 15-24s; 35-44s; 45- 54s; 55-64 year olds) have digital share of over 50%. The most popular digital-only station is BBC 6 Music with a weekly reach of 2.34 million listeners, followed by BBC Radio 4 Extra (2.26 million). Kisstory (1.71 million) is the most popular commercial digital-only station, with Absolute 80s taking the second spot with a weekly reach of 1.47 million listeners. Listening has grown across national and local stations, with national digital listening hours increasing by 7.3% year on year to 58%, and local digital listening hours to 34.7%, up 13.7% from Q4 2016. In car digital listening hours have grown by 25% year on year, an increase of 15.9 million hours, and reached a new record share of 32%. DAB digital listening in cars contributed to 50% of all DAB digital listening growth.